Smartphone geeks can not be stopped from thinking about what 2016's top line models will look like, and a credible report has provided answer to some of the questions, we now know a quite a few things about Samsung's soon to be launched Galaxy S7 and S7 Edge handsets. The Wall Street Journal is giving reference of people familiar with this and reporting that next year's Galaxy S7 smartphone will feature some major upgrades compared to the currently available model. As per this report, the upcoming Samsung smartphone will come with a pressure-sensitive screen, like the one that Apple launched with its iPhones. It will enable the phone to react differently depending on whether the user is simply touching or pressing the screen. 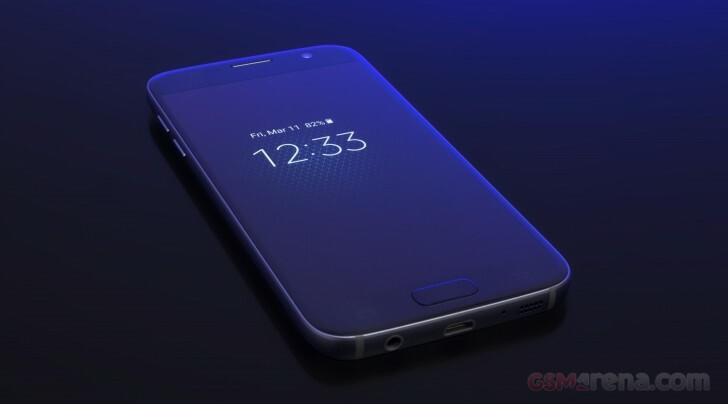 Also Samsung Galaxy S7 will include a retina scanner, although this feature is currently available in some of the selected models, and might not actually be available in the market. The Galaxy S6 models already sport a fingerprint scanner, and along with a retina scanner, possibly with similar functionality to the iris scanner found on the Lumia 950 and 950 XL, Samsung is planning to compete in the biometric sensor arena. 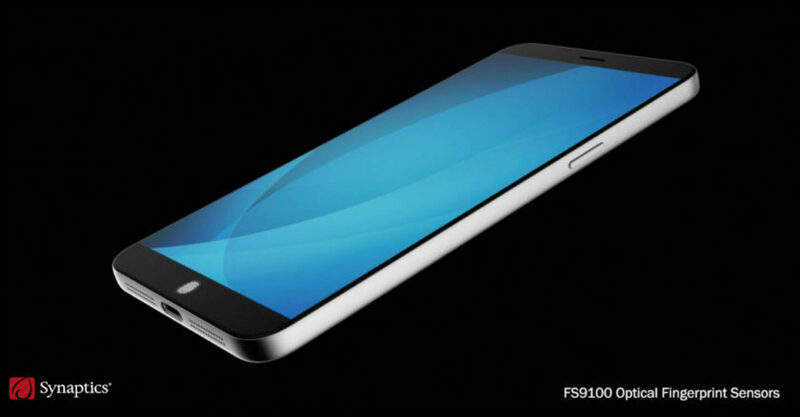 The Galaxy S7 is supposed to support Android 6.0 Marshmallow and will be powered by an Exynos 8890 processor (or a Qualcomm Snapdragon 820 SoC in some devices), backed by 4GB RAM along with fast wireless charging, LTE Cat. 12 and USB Type-C connectivity. 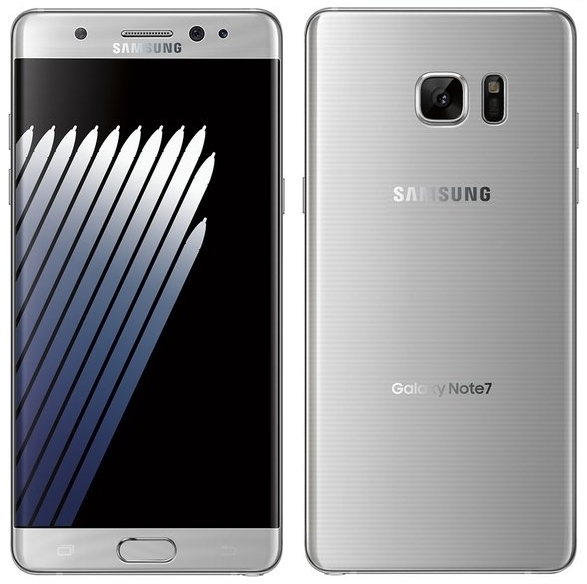 Are you as excited about the Samsung Galaxy Note 7 as we are? If so, then you will be glad to know that we have found a video circulating on YouTube which shows us the iris scanner of the upcoming Note 7 in action and from what we can tell, it's super fast. The video seems to be of Asian (most likely Chinese) origin and was found on the YouTube channel of TechTastic. Take a look yourself to see what we are talking about exactly. In case you had not noticed already, let us point out that the Galaxy Note 7 we are seeing over here is a flat version with a flat front and a flat back. 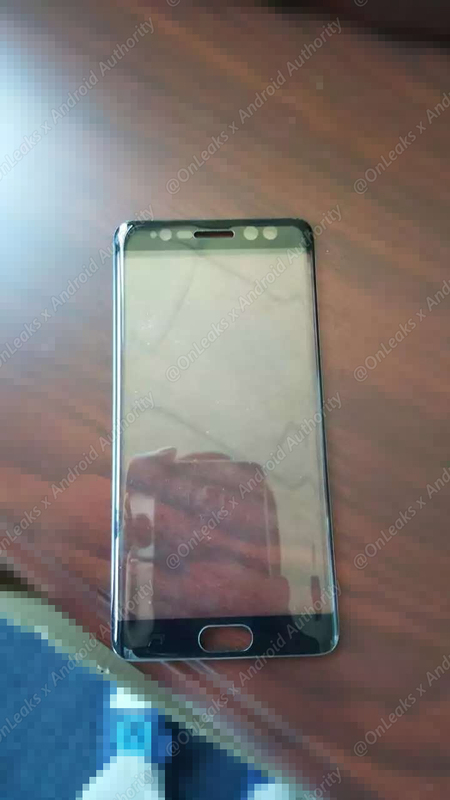 However, this is possibly a prototype that will not reach the hands of the consumers as Samsung has probably decided to go only with the curved screen variant this year. Nevertheless, it is good to know that the iris scanner is working so flawlessly on the prototype and presumably, it will only get better when the final version is unveiled in about a week's time on August 2. Although Samsung disappointed many fans throughout the world when they launched the Galaxy Note 7 with almost the same specs as that of the S7 Edge, there is no denying that it still had a few unique tricks up its metaphorical sleeve. The iris scanner is the most fascinating and unique feature of the Galaxy Note 7 and now that we have had a closer look at it, let us brief you about it. The biometric security system can be used with supported functionalities like KNOX and Samsung Pay. It can record and recognize unique patterns from both eyes of the user or just one, depending upon your preference. It should be noted that iris scanning is one of the highest levels of security that technology can provide to us right now and the Note 7 brings that to us with the help of its specialized and dedicated camera lens in front of the device. 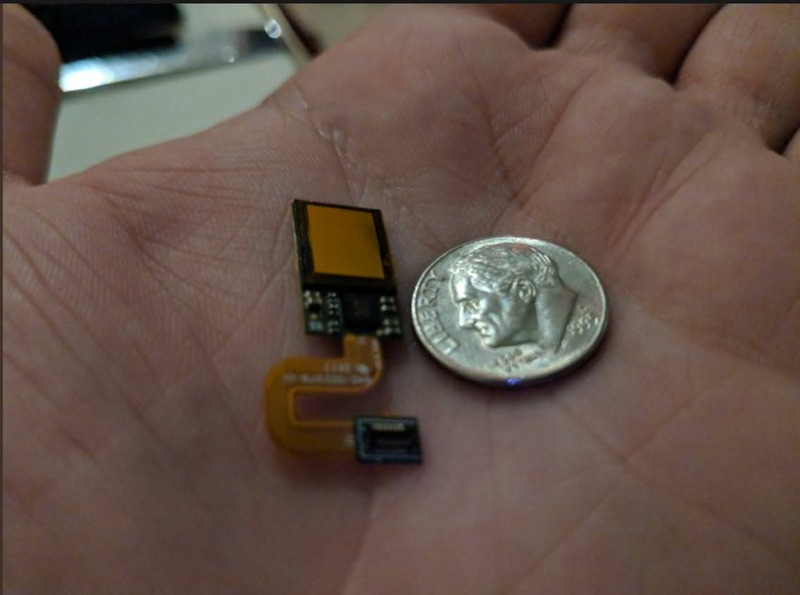 Before details of the iris are stored in encrypted code form, the specialized lens utilizes an infrared sensor to scan the data in from the user's eyes. 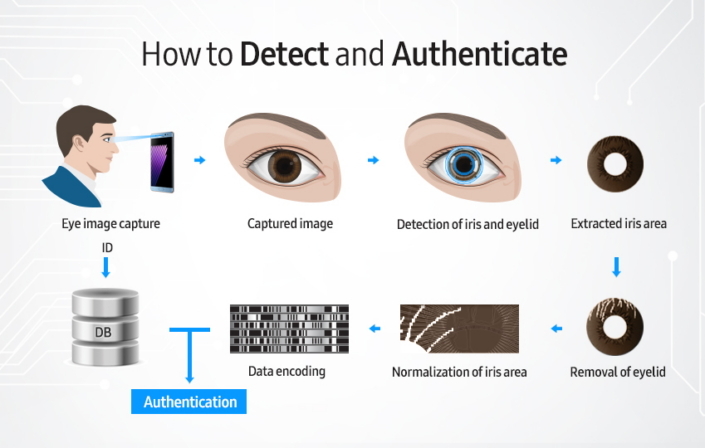 The IEC 62471 certified iris scanner is apparently safe to use and auto shuts itself if the eyes are closer to the sensors than they should be. 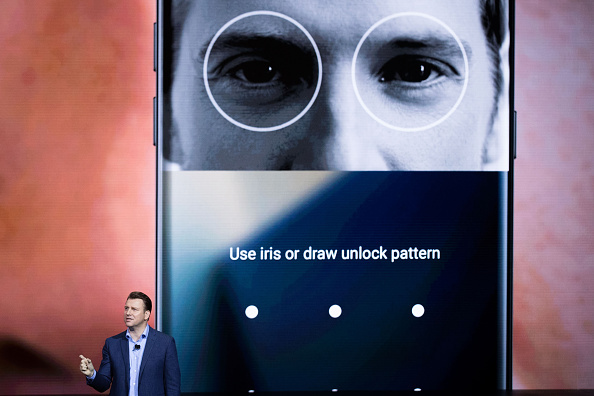 The scanning and subsequent unlocking is fast and remains unaffected by the lighting conditions around the person, according to Samsung. More detailed reports will come in soon after it's officially released on August 19. In the meanwhile check this YouTube video by Samsung Newsroom out. Courtesy of @onleaks and Android Authority, we can now look at leaked photos of the upcoming Note 7's front panel. As you can guess, we were most interested to see what the front panel reveals to us and delightfully, it reveals that the Note 7 will indeed sport the rumoured iris scanner that we have been hearing about for a while now. As @onleaks is usually dead accurate with their leaks, this is more news than rumor. Additionally, the photos also confirm the 5.8-inch dual Edge display that rumors have been predicting for months now. This sits in perfectly with previous reports about the Galaxy Note 7, so it isn't really a surprise at this point. 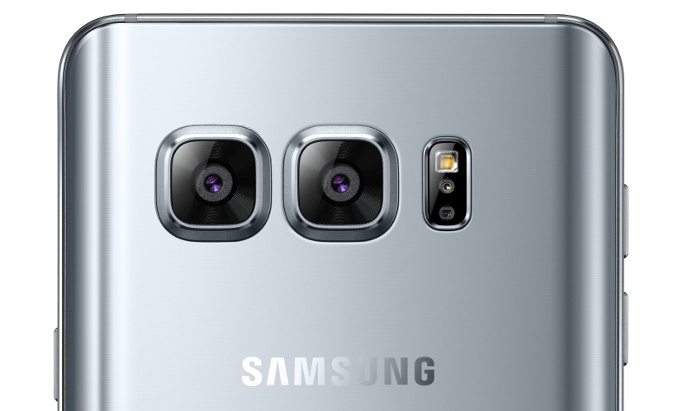 Another little detail that the leak reveals is that the Note 7 won't have enough space in the front to sport the Samsung logo like all Samsung smartphones have done in the past, on account of the three lenses required for the iris scanner to work. The South Korean OEM clearly wants to keep bezel space to a minimum, so this adjustment had to be made. Did you find the confirmation satisfying or do you not care for an iris scanner on your next device? 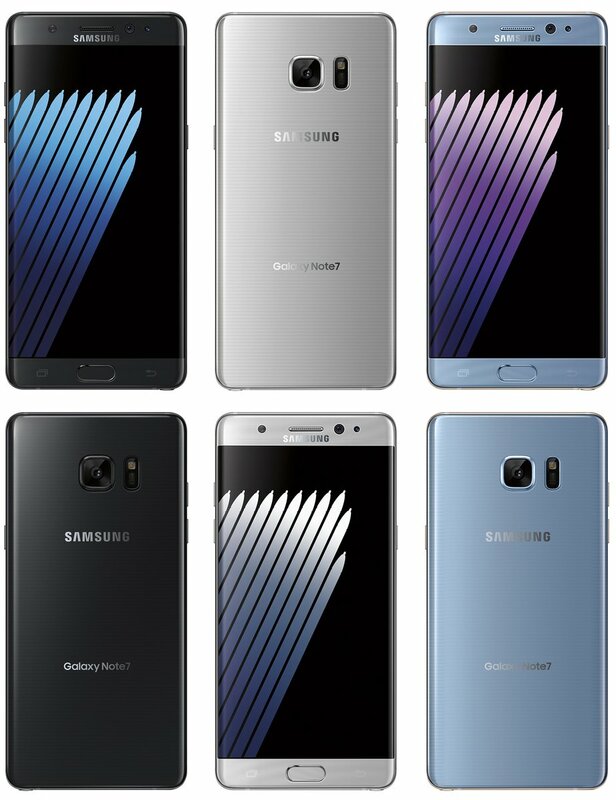 Evan Blass from @evleaks has just released a few renders online via Twitter and they show the three colors of the Samsung Galaxy Note 7 in full flurry. The colors are Black Onyx, Silver Titanium and Blue Coral, as supposedly named by Samsung. However, they have raised some eyebrows as the almost confirmed iris scanner we had seen before in the leaked photo of the Note 7's front panel, is missing here. The three circular lenses necessary for the iris scanner to work (as per a recent patent filed by Samsung) are nowhere to be seen in these alleged press renders of the next Note. It should be noted that Evan Blass himself had declared that the Note 7 will have the much anticipated iris scanner, yet his own leak counters that theory now. Nonetheless, we can see a slightly curved back over here in this render, as well as an even lesser camera protrusion that seen on the S7. The S-Pen and its placement looks identical to that of the Note 5 and the dual Edge display can be clearly observed. Whether this is indeed the final render that will be seen on August 2 is something that we will find out in about a month's time from now. Although it has not even been a month since the Samsung Galaxy Note 7 was unveiled, leakstars are already giving us titbits about the Galaxy S8, which is to be released in 2017. As reported earlier, the S8 is quite likely to sport a 4K display, mainly for VR content consumption. However, we have details from a Chinese source on Weibo today that indicates a dual rear camera setup for the S8. According to the report, one of the camera modules will be supplied by Sony, while the S5K2L2 module will be manufactured by Samsung themselves. 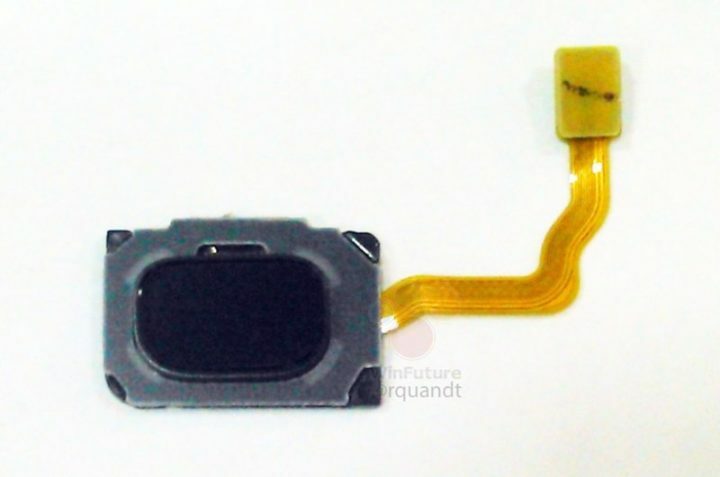 Although the resolutions of the sensors are said to be 12mp and 13mp, which of these resolutions the S5K2L2 module will sport is unclear as of now. 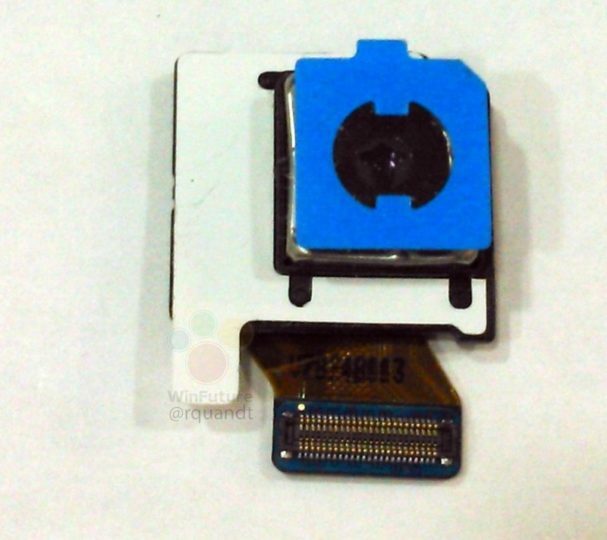 The front camera will be a bumped up 8mp sensor next year, unlike the 5-megapixel sensors that we are now used to seeing even on Samsung flagship devices. Expectedly, the iris scanner that we are just getting used to with the Note 7, should also be there. In spite of the Galaxy S8 being far from coming into existence at this moment, we are quite sure that the rumors will keep coming as they always do. Nevertheless, going by how the "6GB RAM" theory turned out to be untrue in case of the Galaxy Note 7, we would not buy into anything too soon. Even though Samsung did not exactly say it out loud, we are sure that the iris scanner will inevitably be a part of the Galaxy S8 next year. 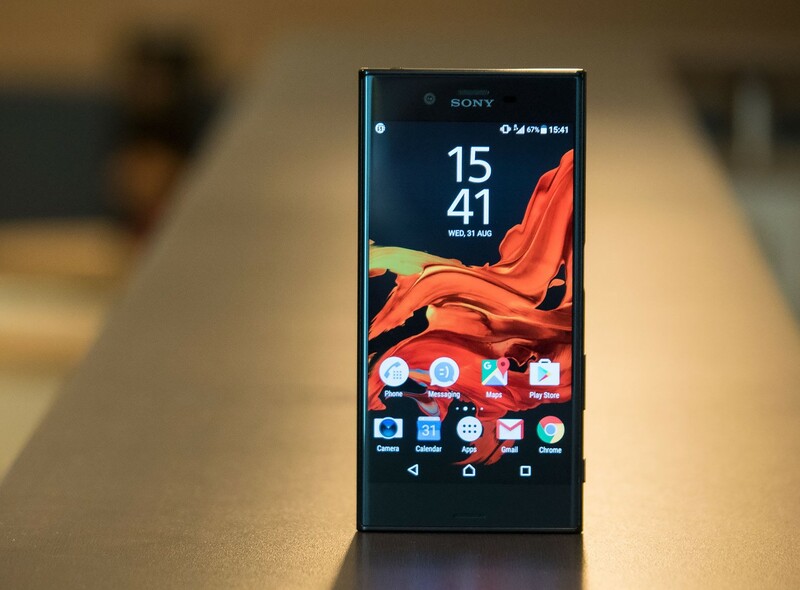 The company has made it official that they will compensate their parts suppliers, who suffered a loss as a direct result of the Note 7's recall and subsequent discontinuation. Both common sense and reports from South Korea are suggesting that this compensation will involve endowing the S8 with an iris scanner. Additionally, Samsung may also choose to equip the S8 with a dual-lens rear camera sensor to increase revenue for the affected supply chain partners. 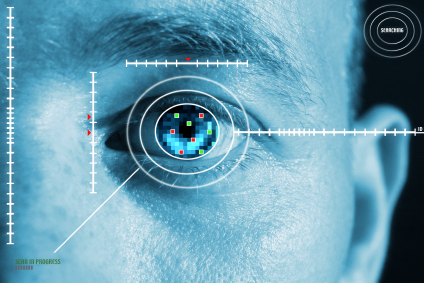 Sources state that the main partners who will benefit from this decision are Sekonix (camera lens supplier), Samsung Electro-Mechanics (camera module supplier), Patron and MCNEX (iris scanner manufacturer) and Kolen (supplies the lens necessary for building the iris scanner). Since there is also another rumor going around, which states that Samsung will concentrate on one flagship smartphone in the entire next year, this might actually be a good strategy. It will help Samsung stay in good terms with their suppliers, as well as slowly turning around the unfortunate incident which has and will continue to cost all involved parties dearly for at least a good while more. In case you are not aware, Synaptics is a company that's famous for making fingerprint scanners, especially for Samsung. They have unveiled quite an innovative piece of fingerprint sensing tech today, dubbed the Natural ID FS9100 optical fingerprint sensor. It resembles the "under the glass" fingerprint scanner which we have been hearing about so far only in rumors and given the history shared by Samsung and Synaptics of working together, we are pretty much sure that this is what we are going to see on the Galaxy S8 next year. This new optical fingerprint sensor works flawlessly even when placed under 1mm of 2.5D glass. Additionally, it can also detect prints from wet fingers, which makes it a great companion for water-resistant smartphones (like the Galaxy S8). Since it's meant to be placed below the front glass of the smartphone, the FS9100 is immune to scratches and electro-static discharges by default. This is the perfect addition to the S8, now that Samsung has probably decided to remove the physical Home button and go with a bezel-less display. 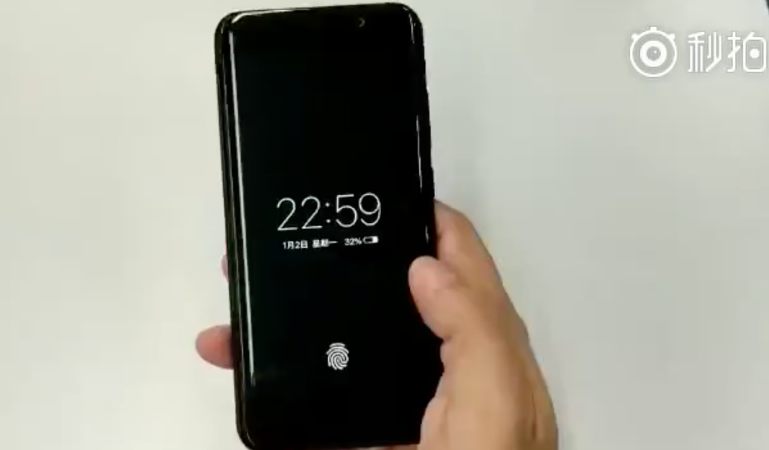 Just two days ago, Synaptics had announced their next gen fingerprint scanner (FS9100) which works even when placed under a millimetre of glass or when operated with a wet finger. Most of the world was almost sure at this point that the Galaxy S8 will feature this optical fingerprint scanner under its dual curved edge-to-edge display. However, a new report has surfaced on the internet recently which has forced the tech-enthusiasts around the world to reconsider that conclusion. 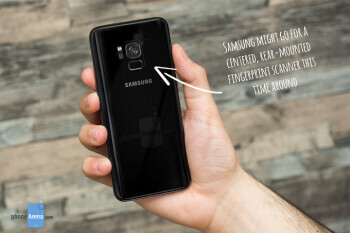 According to this report, the "under the glass" optical fingerprint scanner did not work well with the S8 and therefore, Samsung is opting for a physical rear mounted scanner instead. If you are wondering why the scanner won't be a part of the Home button as usual, it's because there won't be a Home button on the Galaxy S8, as far as all reports, rumors and leaks are concerned. Amidst all the confusion regarding the fingerprint scanner, let us not forget about the iris scanner which is also rumoured to be on the S8. 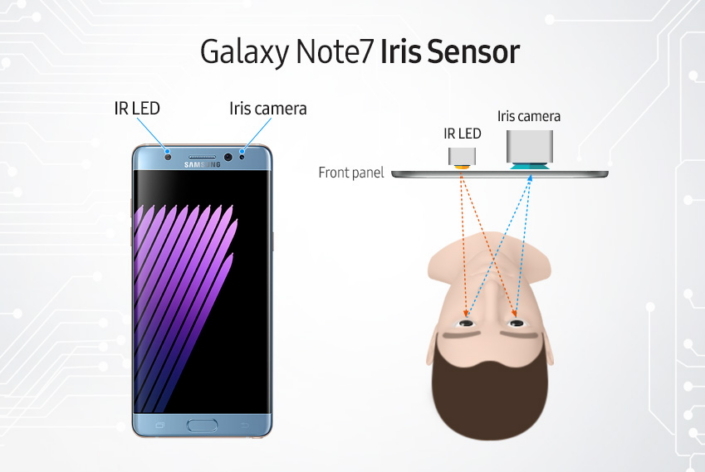 Although we saw the iris scanner briefly on the Note 7 before it was shut down, the chances are pretty high that an enhanced version of the same sensor will be seen on the upcoming flagship from Samsung. Apple may take a page out of Samsung's book as the iPhone 8 is rumoured to sport an iris scanner for security. If you remember, the Galaxy Note 7 was the first phone to come with an in-built iris scanner and as of now, there has been no other release from any company which sports similar technology. If the rumors are true then the most expensive version of the iPhone 8 with an OLED display will be Apple's first phone with an iris scanner. Rumors also indicate that the Galaxy S8, which will be launched next month, could sport the same iris scanner as the one we briefly saw on the Note 7, before it was discontinued. It will be interesting to see what changes Apple brings to the scanner to make it stand out from the competition. If they do indeed bundle in the iris scanner, will that justify the $1000 rumored price tag for the iPhone 8? What do you think? Let us know in the comments section. We all know that the biggest gripe most people have with the Galaxy S8 and the S8+ is the awkward location of the fingerprint scanner. While I think the 3,000mAh battery on the regular S8 is a much bigger problem, that is not the point of this article. It seems that The Investor from South Korea actually has a decent explanation for the strange decision by Samsung. The under-the-screen fingerprint scanner revealed by Synaptics a few months ago was apparently funded mainly by Samsung. They were supposed to be a part of the Galaxy S8 and S8+ but unfortunately, the technology just wasn't ready before the mass production of the Galaxy S8 series of smartphone began. As Samsung could not place the fingerprint scanner on the front anymore and the middle of the back wasn't an option because the design wouldn't permit it, they had two choices. The first was to exclude the fingerprint scanner altogether, and the second one is what we are seeing now, an awkwardly positioned fingerprint scanner right beside the camera. Additionally, this could also be the reason as to why the S8+ doesn't feature the initially expected rear dual camera module. The whole affair makes sense too. Samsung is a market pioneer and industry leader; to think that they would simply opt for a stupid location for the fingerprint scanner voluntarily is a silly concept in itself. If anyone who has used the Galaxy S8 was asked to point out a single flaw in the S8's design, it would be the fingerprint scanner's placement. Of course the Bixby button could be up for argument as well, but it will more likely lose to that awkwardly placed sensor by far. If you have been following us, then you probably already know that the design choice in this regard wasn't really a "choice" for Samsung. After putting in the necessary money into developing a fingerprint scanning tech that could be placed below the glass, Samsung found that it wouldn't be ready before the beginning of the Galaxy S8's mass production process. 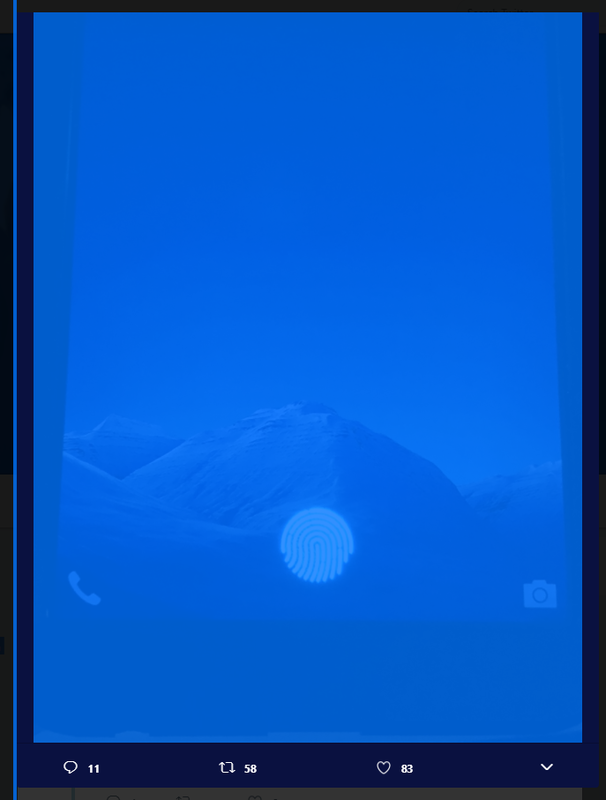 They literally had no space left at this point to implement the fingerprint scanner, except where you see it right now. Sadly enough, it seems that the Note 8 will not be able to sport the tech either as Samsung and even Apple is facing some serious issues with implementing the technology into their respective upcoming flagship smartphones. In the words of a Samsung representative (according to the report), "We made every effort to install a display-integrated fingerprint sensor on Galaxy Note 8, but we decided not to install it on this strategic phone due to various technical limitations such as security." Samsung will continue to work with CrucialTec and others in the field to develop and integrate the technology, but it doesn't seem like something which could happen before the Galaxy Note 8 is released. 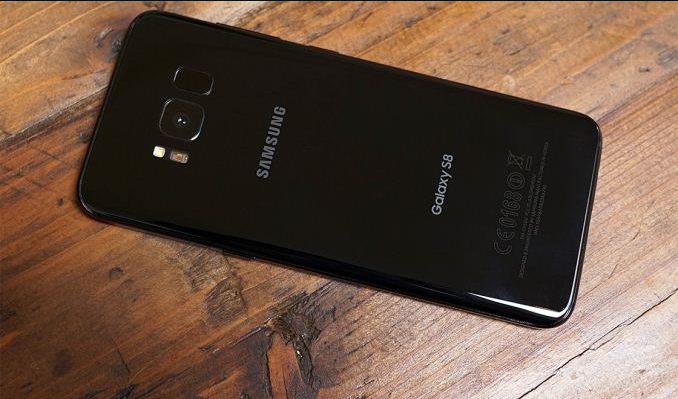 The rear camera and the fingerprint scanner which will be accompanying the Galaxy S9 has been revealed online a few hours ago, confirming the rumor that the Galaxy S9 will indeed be sporting just one camera at its unworthy back... The dual cameras will be reserved for the more premium Galaxy S9+. Now the question is, can you really blame anyone anymore when they blame Samsung for following in the footsteps of Apple? One would think that they would do the consumers a favor and endow both the devices with similar specs like every year, but that is not going to happen anymore it seems. 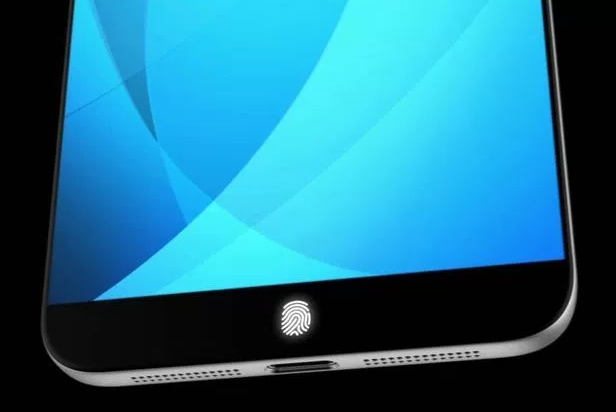 The Fingerprint scanner doesn't reveal much except the fact which we all knew anyway; Samsun has not yet been able to perfect their under-the-display fingerprint scanner. Let's just hope that like all the rumors suggest, Samsung at least decides to put the fingerprint scanner at a better location than they did last year with the Galaxy S8, S8+ and the Note 8. At this point, it doesn't even feel like news anymore to report once again that Samsung's next flagship smartphone won't be sporting an under-the-glass fingerprint scanner because this is going on for more than a year now. Renowned KGI analyst and Apple leakster Ming-Chi Kuo has sadly declared this fact, although he had himself said earlier that Samsung would be able to pull it off with the Note 9. Apparently, the OEM can't do that at this moment, but incidentally, Vivo has already done it successfully with the Apex. It is baffling for many as to why Samsung is unable to do it, especially since the only reasoning offered here by Ming-Chi Kuo was a vague explanation about the current gen sensors being unable to bring what Samsung needed to the table. It might have something to do with the fact that the latest under-the-display sensors being incapable of working with an OLED display properly, but we don't know for sure. It almost feels like every major Samsung smartphone in recent history has been released with at least one major flaw and just to add to that cliché, new reports from several users on XDA forums are claiming that this time around, Samsung might need to fix the fingerprint scanner even before the phone has begun to sale officially! Apparently, quite a few of the S9 and S9+ units are exhibiting a strange issue where the fingerprint scanner stops responding completely and can only be fixed by rebooting the device. Let's hope that the issue is only software-related and can be easily fixed with an update, because if it isn't, then Samsung is going to have to suffer huge losses. SamMobile has officially asked Samsung about the issue, but no reply has been provided yet. We will keep you updated about this, so stay tuned and hold off on buying the S9/S9+ for a while. In-Display Fingerprint Scanner Confirmed for the Galaxy S10? 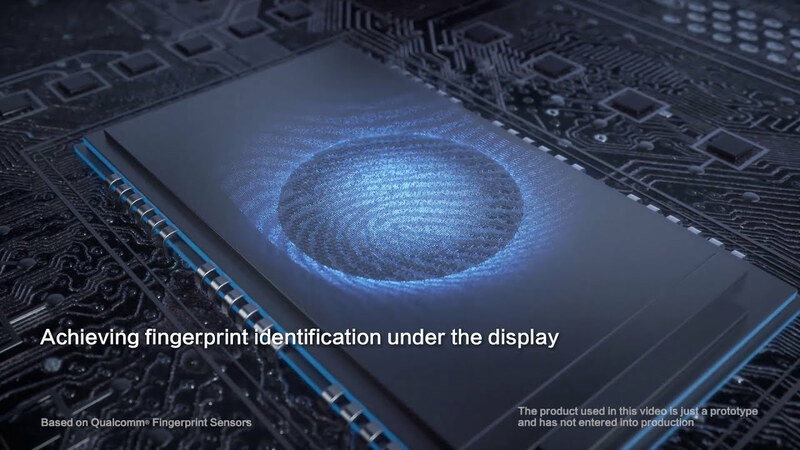 The in-display fingerprint scanner showing up on a Samsung device has now been a rumor for years and although it isn't nearly as old as the famous foldable smartphone rumors, they share a similarity in the fact that they both seem to take Samsung forever to release. While the foldable smartphone has been confirmed by the President of Samsung Mobiles, the in-display fingerprint scanner has so far only been a thing of speculations. However, some reports from South Korea are claiming that it is not a rumor or an expected feature anymore, but a confirmed feature that the Galaxy S10 will sport. To top things off, reports also indicate that Qualcomm is going to be the company that will supply Samsung with this elusive piece of tech. If the ultrasonic fingerprint scanner is indeed supplied by Qualcomm, it would lead to the question as to how the Exynos versions of the Galaxy S10 will support the tech ? Will Samsung release only future Qualcomm chip-powered versions of the Galaxy S10 ? Or will Samsung be making their own ultrasonic fingerprint scanners as well? We will let you know more on this as we find out ourselves. Tags: vivo may beat both samsung apple with world’s first under-the-glass fingerprint scanner vivo beats samsung apple showcases world’s first in-screen fingerprint scanner mwc shanghai 2017 samsung galaxy feature pressure-sensing display retina scanner video shows samsung galaxy note 7’s iris scanner action iris scanner samsung galaxy note details samsung reportedly registered trademark that suggests galaxy note might sport iris scanner galaxy note front panel leaked confirms rumored iris scanner samsung galaxy note press renders now out (unofficially) they don’t show iris scanner samsung galaxy s8: dual camera back iris scanner samsung indicates that galaxy have iris scanner dual rear camera setup synaptics confirms under glass fingerprint scanner rumoured galaxy galaxy may feature rear-mounted fingerprint scanner apple iphone may have iris scanner why fingerprint scanner placed galaxy s8’s back awkwardly galaxy note may have under-the-screen fingerprint scanner galaxy camera fingerprint scanner revealed online galaxy note possibly won’t sport under-the-glass fingerprint scanner either galaxy s9’s fingerprint scanner might faulty in-display fingerprint scanner confirmed galaxy s10? Will the In-Display Fingerprint Scanner Make Its Way to the Galaxy S10? The Galaxy Note 9 has finally been launched and while the memories are still fresh, it is already time to look forward to the Galaxy S10, because it might have a bunch of impressive features that the Galaxy Note 9 didn't. Make no mistake, the Note 9 is a very capable device, but it's nothing ground breaking in terms of design or functionality really. You can check out the full spec, price and feature list here. Having said that, could it be that some of the more impressive features, including the in-display fingerprint scanner would make their way onto the Galaxy S10? We certainly hope so, especially since it is predicted that most smartphones will have it in 2019. It's a bit disappointing really that the huge 6.4-inch display of the Note 9 didn't have the Fingerprint on Display technology, aka FOD, given that both Huawei and Vivo have managed to incorporate it quite effectively in some of their high-end smartphones for months now. 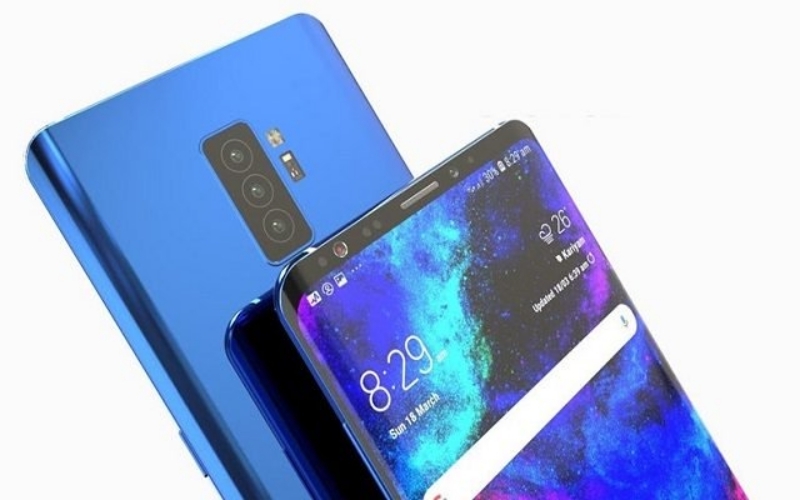 We are also expecting 3D cameras and 5G compatibility on the Galaxy S10, but it's still too early to tell for sure. Tags: vivo may beat both samsung apple with world’s first under-the-glass fingerprint scanner vivo beats samsung apple showcases world’s first in-screen fingerprint scanner mwc shanghai 2017 samsung galaxy feature pressure-sensing display retina scanner video shows samsung galaxy note 7’s iris scanner action iris scanner samsung galaxy note details samsung reportedly registered trademark that suggests galaxy note might sport iris scanner galaxy note front panel leaked confirms rumored iris scanner samsung galaxy note press renders now out (unofficially) they don’t show iris scanner samsung galaxy s8: dual camera back iris scanner samsung indicates that galaxy have iris scanner dual rear camera setup synaptics confirms under glass fingerprint scanner rumoured galaxy galaxy may feature rear-mounted fingerprint scanner apple iphone may have iris scanner why fingerprint scanner placed galaxy s8’s back awkwardly galaxy note may have under-the-screen fingerprint scanner galaxy camera fingerprint scanner revealed online galaxy note possibly won’t sport under-the-glass fingerprint scanner either galaxy s9’s fingerprint scanner might faulty in-display fingerprint scanner confirmed galaxy s10? in-display fingerprint scanner make its way galaxy s10? 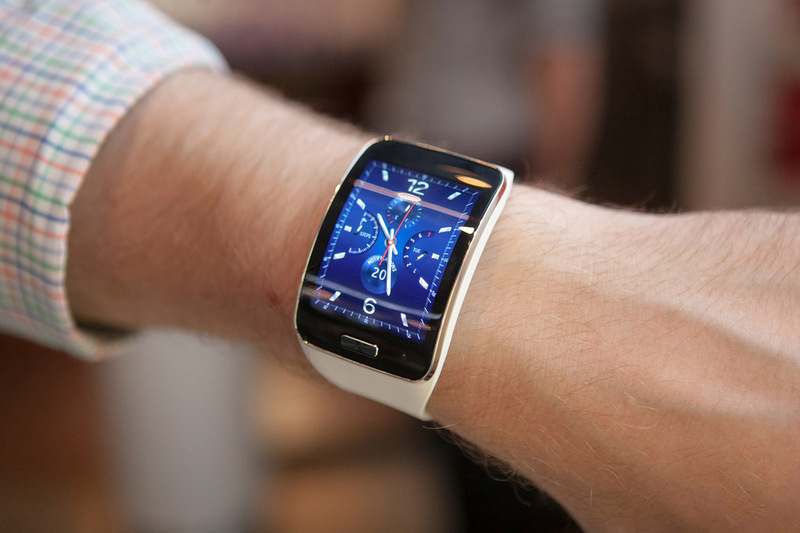 This year, Samsung's definitely been active in the smartwatch market. It recently unveiled the Gear S. But next year the company may be taking its smartwatch efforts to the next level. According to a report out of Samsung's home country of South Korea, at Mobile World Congress 2015 we could see a new wearable that will come with a built-in fingerprint scanner. And in what would be a first for a Samsung device, it may not require a swipe to register your fingerprint. Aside from featuring that sensor and not relying on a smartphone for secure authentication purposes, this yet-unnamed smartwatch is also to sport some simple payments functionality. This will be developed by Samsung in partnership with PayPal. The two companies have already teamed up this year to enable making payments with the Galaxy S5's fingerprint sensor, so the new smartwatch venture would be a natural extension of that relationship. 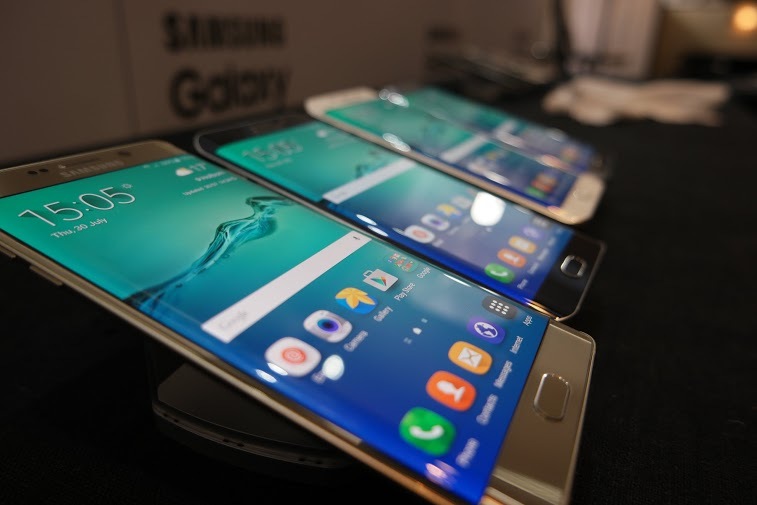 The whole thing has been reportedly confirmed by "a high-ranking official at Samsung Electronics". Synaptics is also involved, thanks to its biometric know-how. The system will send promotional offers to your smartwatch from nearby stores, so you can pick what you want to buy even before entering a shop. It will be available in over 50 countries worldwide. Tags: vivo may beat both samsung apple with world’s first under-the-glass fingerprint scanner vivo beats samsung apple showcases world’s first in-screen fingerprint scanner mwc shanghai 2017 samsung galaxy feature pressure-sensing display retina scanner video shows samsung galaxy note 7’s iris scanner action iris scanner samsung galaxy note details samsung reportedly registered trademark that suggests galaxy note might sport iris scanner galaxy note front panel leaked confirms rumored iris scanner samsung galaxy note press renders now out (unofficially) they don’t show iris scanner samsung galaxy s8: dual camera back iris scanner samsung indicates that galaxy have iris scanner dual rear camera setup synaptics confirms under glass fingerprint scanner rumoured galaxy galaxy may feature rear-mounted fingerprint scanner apple iphone may have iris scanner why fingerprint scanner placed galaxy s8’s back awkwardly galaxy note may have under-the-screen fingerprint scanner galaxy camera fingerprint scanner revealed online galaxy note possibly won’t sport under-the-glass fingerprint scanner either galaxy s9’s fingerprint scanner might faulty in-display fingerprint scanner confirmed galaxy s10? in-display fingerprint scanner make its way galaxy s10? samsung may have in-screen fingerprint scanner yet but this company does samsung reported release new smartwatch with fingerprint scanner buying sony xperia without fingerprint scanner $699?